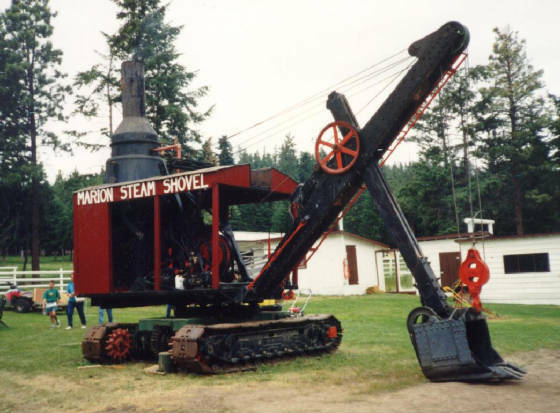 1921 Model 21 Marion Steam Shovel. 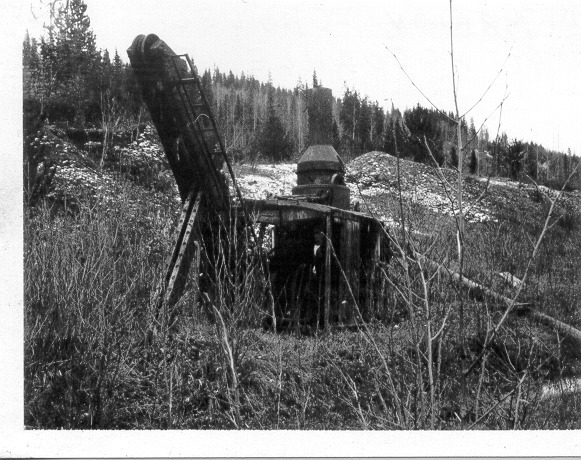 We found this shovel buried in an old river bed in a remote area of B.C. She had rested there for 50 years. 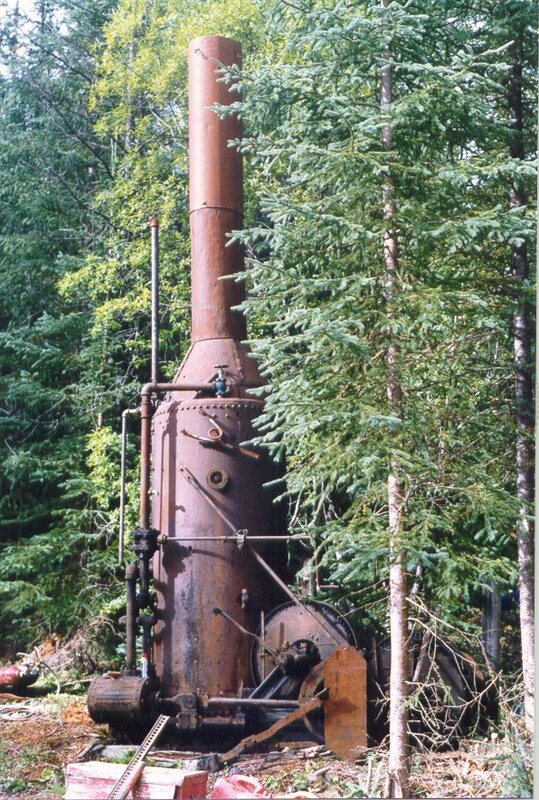 Three Marions had been taken into this area in the 1930's, an incredible journey overland. We rescued her and restored her to working condition. The area that we found her is 160 miles north of Ft. St. James, about 600 miles north of our community. It took several trips to tear her down for the task of pulling her out of the blue clay that she was mired in. 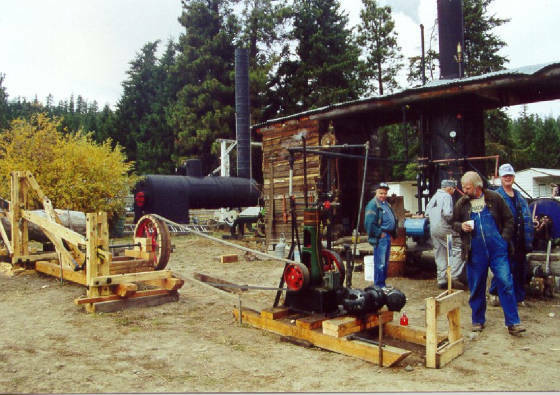 Read the story "Incredible Journey"
American Hoist Donkey. We found this donkey in the same area as the shovel. We use her to power a dragsaw. Our uncle made several of these dragsaws in the 20's and 30's.